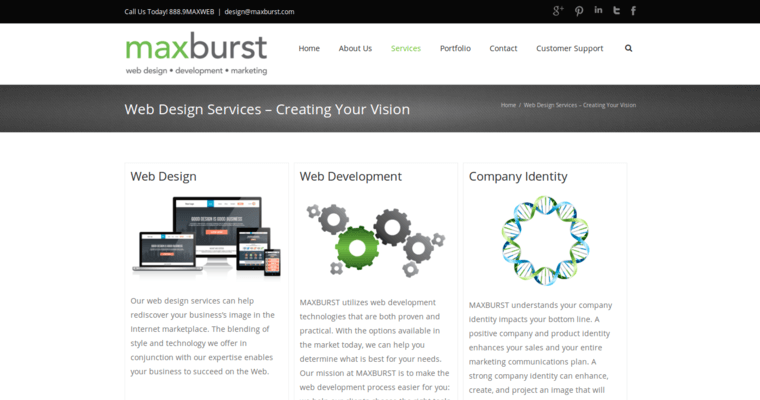 MAXBURST is a web design, web development, and web marketing firm that provides custom design and content, focusing on the client's branding and business goals. 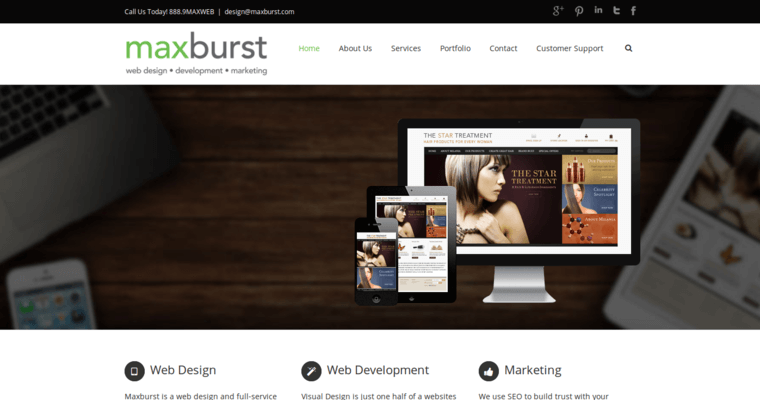 Services include web design, web development, company identity, web hosting, search engine marketing, social media, and localized search. Clients have included Canon, jetBlue, Trump International Hotel, Tamron, and CapGemini. The company announced yesterday via their Twitter feed that they are now a Google Partner. It has an active Twitter and Facebook presence and has a current blog of articles specific to the services it provides. 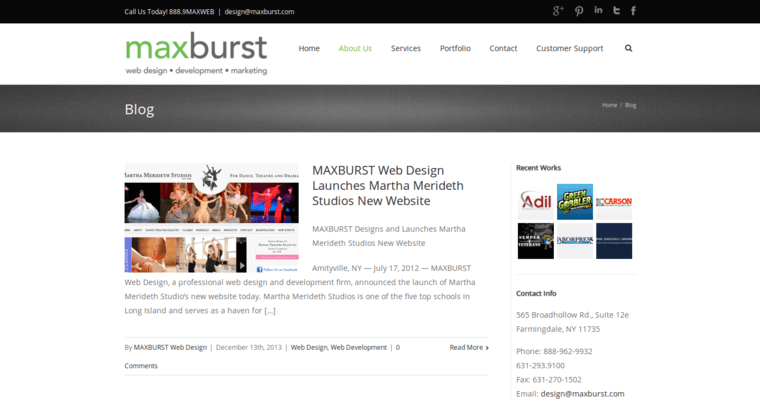 MAXBURST was founded in 2003 and is located in Farmingdale, N.Y. It employs between 10 to 19 people.